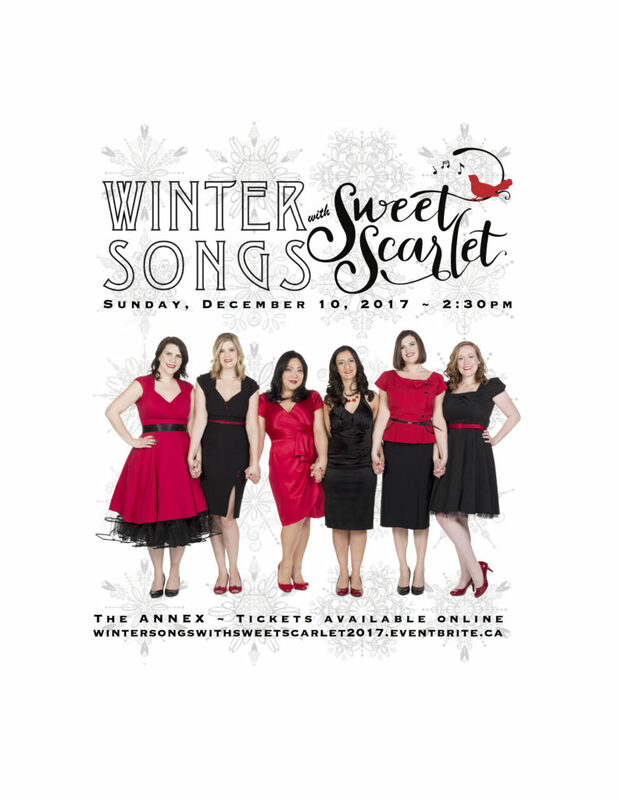 Here at Sweet Scarlet headquarters, we are busy putting the finishing touches on our annual holiday concert, Winter Songs. We’ve been putting in the extra hours, rehearsing with babies strapped to our chests as we plot out choreography and fine tune our harmonies. And we can’t wait to share our favourite holiday tunes with you! Also, don’t forget that our debut album of the same title, Winter Songs, is also available to purchase on iTunes or Google Play OR you can purchase a CD copy at one of our shows! Can’t wait for these performances, and hope to see you there!